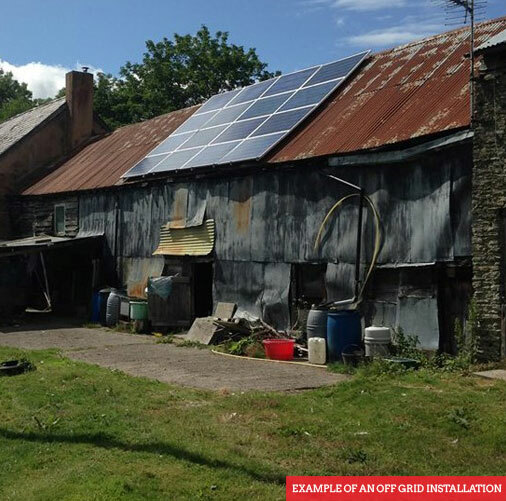 Eden Power Ltd have been involved with the initial survey, design and installation of many completely Off Grid Solar PV systems, providing electrical power to remote homes and buildings not just in the UK but in Spain. Our installations range from large commercial installations to small summer houses and stables. As experts in solar we will need to review and discuss your project, we will need to determine your off grid solar system size, this is to ensure it will be put in place properly to support your daily power needs. Once this has been decided we fit the system which will replace your old grid system requirements to use the stored energy pulled from the solar pv system and battery storage we put in place for you. Become energy independent today with Eden Power Solar off grid installations.